Many teenagers who get caught shoplifting or in possession of marijuana are probably not hardened criminals– not yet, at least. However, after a tour through the juvenile justice system, there is one thing they will have—a criminal record. Many experts say that may put them on a path where the likelihood they will commit more crimes is much higher. In 2012, there were 3,941 arrests for every 100,000 youths aged 10 through 17 in the United States, according to the U.S. Department of Justice. Law enforcement agencies refer approximately two-thirds of those arrests to a court with juvenile jurisdiction for further processing. Looked at another way, these courts formally process nearly one million delinquency offense cases each year. But when a teenager gets arrested, it doesn’t automatically mean the case will end up in a court of law. For teens in legal trouble in New York City and across the country, there are alternatives to the criminal justice system. Youth courts, as they’re referred to, are part of a community-based justice system that is staffed by other teenagers. The youth court lays out paths that can help those teenagers avoid getting a criminal record or ending up in jail again. Teens respond more positively to the judgment of their peers when compared to how they react to a judge or parole officer, Charland said. The results reinforce that belief: Around 90 percent of those who go through youth court don’t relapse after completing their sanction, she said. New York City is currently home to six youth courts: the Greenpoint Youth Court, Harlem Youth Court, Brownsville Youth Court, Staten Island Youth Court, Red Hook Youth Court and Queens Youth Court. There are over 1,050 youth courts nationwide. Despite their name, youth courts are not formal courts. They are based on the idea of restorative justice, which in essence focuses on repairing harm and rebuilding relationships through a process that involves the stakeholders in an active and respectful way, as opposed to the criminal justice system, which is punitive. 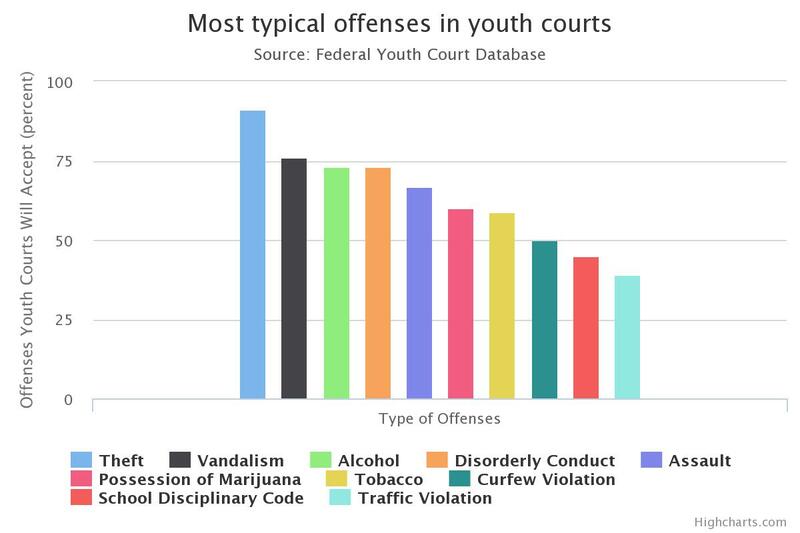 Youth courts, however, are dedicated to provide corrective solutions for those teenagers, most of them first-time offenders, who face misdemeanor drug and alcohol violations or other minor offenses such as petty theft or vandalism. They help offenders realize that what they’ve done has consequences. 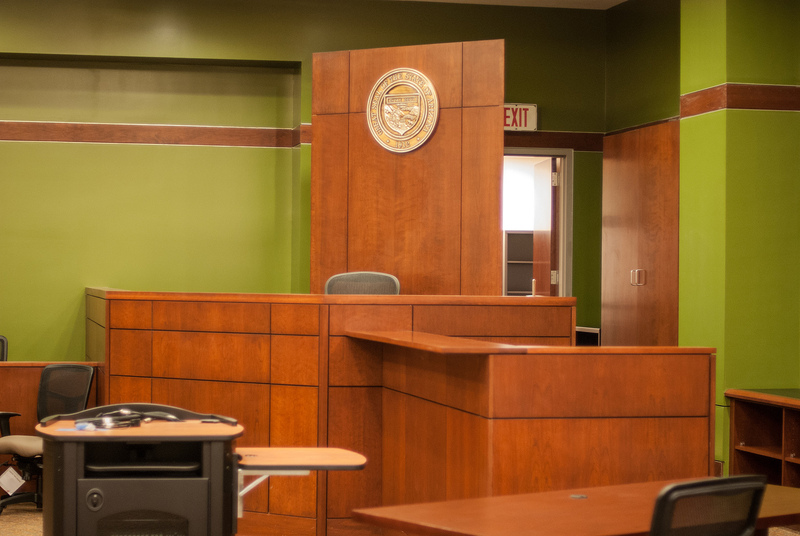 Defendants in youth court must admit guilt before the case is redirected from the juvenile justice system, but once they’ve gone through the process, and served out their sentence, it’s a blank slate for them. No criminal record is established. “The information learned during the process can not be used against them in a future prosecution [if they get in trouble again],” said Vaughn. The system seems to work because teens respond better when their offenses are dealt with by other teens, say advocates. The jury of teen peers come up with a sentence that addresses the incident specifically and aims to help the teen give back to the community or to those who he or she may have hurt or injured. It might involve community service or attending a specific workshop, or several. There’s also the economic benefit: each case in the youth courts costs an average of $480 per participant. Cases that wind through the formal court system can cost the state anywhere from $3,500 to $50,000 per case. The price tag of incarceration in New York is also high. On average, the cost of maintaining a teenager in prison is $966 per day. That could add up to $352,663 per year for every teen, according to a study by the nonprofit organization Justice Policy Institute. For those that study youth courts though, the benefits are far greater than just dollars saved.